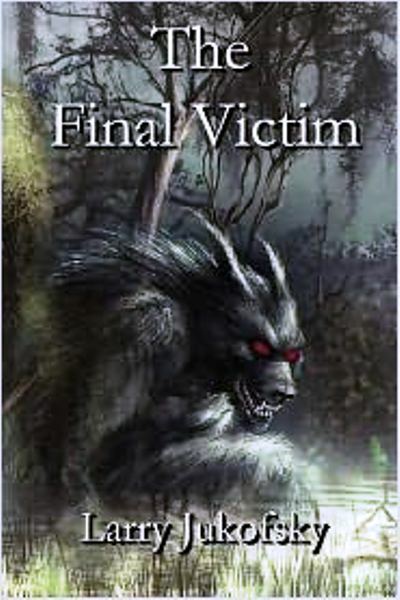 Join Larry Jukofsky, author of the mystery horror novel, The Final Victim as he virtually tours the blogosphere in June and July, 2011 on his first virtual book tour with Pump Up Your Book. Larry Jukofsky is a first time author at the young age of 86. His novel The Final Victim, in the genre of mystery, horror is his debut novel. He was born in New Jersey in 1925. He earned his degree at Columbia University, New York Medical School and interned at Hackensack Hospital. His eye training was at Barnes hospital St. Louis, Mo., where he met and married wife Betsy. His active duty was in the United State Naval Reserves U.S.N.R. and U.S. Marines as an Ophthalmologist for First Marine Division in Korea. He opened first office in New Jersey in 1953 and moved to Hilton Head, South Carolina in 1978. When Larry is not writing he is enjoying his retirement with his 2 children, 4 grandchildren and 4 great grandchildren. For some reason, Rudy was uncomfortable tonight, physically and mentally. Transporting a coffin was a new experience. It frightened him. Superstition played a large role in his limited educational life. Here it was dark, stormy, and he was delivering a corpse. The route took him through wooded and desolate country, with hanging Spanish moss casting eerie shadows as he drove by. His bright lights were on, only being dimmed when a car came from the opposite direction. The lightning and thunder added to the unease caused by the downpour. Rudy’s grasp of the steering wheel was quite tight. The rhythmical beat of the windshield wiper was his only entertainment as the radio had not worked in quite some time. Rudy was horrified when a bolt of lightning seemed to strike the ground quiet close to his truck. It took considerable effort to hold the wheel firmly. Through the rear view mirror he could see no flames and concluded no damage had been done to his cargo. The dead guy in back wouldn’t mind a jolt or two anyhow, would he? Thinking the better of his decision to continue driving in this downpour, he pulled over to the side of the highway. It was when he turned off the motor that he realized he was not alone in the truck. He had a passenger seated alongside him.